Golf is a game that demands many and varied skills. The necessity for power and precision makes it one of the most challenging sports to master. Here, we look at five players who can be considered golf’s greatest drivers and putters of all time. Five players who have excelled from the tee through the ages, and five men who are renowned for their accuracy and prowess with the flat stick. Sam Snead was a natural athlete, a standout American football player – he could run the 100 yards in 10 seconds. When he took up golf, it wasn’t surprising that he excelled at it. Snead had a loose, flowing swing that earned him the nickname “Swingin’ Sam”. However, this moniker changed to “Slammin Sam” when the press recognised just how much power he possessed and how far he could hit the ball. He could send his drives regularly over 270 yards, which gave him a 20-yard edge over contemporary rivals like Ben Hogan. As Byron Nelson once said, Snead disproved the earlier belief that you couldn’t hit the ball both hard and straight. Palmer’s powerful and aggressive game appealed to sports fans across America and was a leading catalyst for the rising popularity of golf in the second half of the 20th century. Not only did Palmer play with tremendous flair and ambition, he was also built like a boxer and used his physique to swing hard at the ball. Usually hitting a strong draw, he could shift the ball huge distances when he timed his occasionally wild looking swing correctly. In the 1960 US Open, he trailed Mike Souchak by seven with one round to play. He stood on the first tee at Cherry Hills and blasted his drive onto the green of the 346-yard par four. This drive set up a birdie and Palmer went on to win the tournament in a historic golfing moment. Between 1984 and 1994, Greg Norman was only twice outside the season-ending top-10 for driving distance on the PGA Tour. Norman was renowned for bringing courses to their knees with his monumental tee shots, and he often struck the perfect balance of a fast and hard swing combined with an extremely consistent tempo. He struck the ball sweetly with the small-headed persimmon woods in play during the 1980s and early 90s. Thanks to his distance and accuracy from the tee, “The Great White Shark” had a real advantage over his rivals whenever he took to the course. With his massive overswing and all-out approach to golf, “Long” John Daly revolutionised the way golf was played in the 1990s. Before Daly, players looked to swing with control and precision. After witnessing the advantage he gained from driving well over 300 yards, many players looked to replicate Daly by generating pure power first and worrying about precision later. The Northern Irishman manages to achieve an awesome blend of John Daly-esque, raw power from the tee and a high degree of controlled accuracy. He is arguably the greatest modern-day driver of the golf ball. There are few that can match him for distance, but he is also capable of shaping the ball and finding narrow targets. McIlroy is one of the game’s most reliable from the tee and his supremely balanced swing provides a text-book example of the modern action. The South African was incredible on the greens. Using a rusty old putter with a hickory shaft, he employed an unorthodox technique but was incredibly reliable, particularly on the shorter putts. Locke won four Open Championships and a key reason for his success was his ability to both read and judge the pace of the links greens. You don’t become an 18-time Major champion without being a fabulous putter. Like all great champions, Nicklaus had an uncanny ability to make a putt at the right time. Perhaps more important than that, though, was his ability to avoid mistakes. He was a master of playing the percentages and he was a brilliant two-putter from long range. Having said that, he could also get on an incredible roll with the flat stick. In the 1986 Masters, he had single putts on six of the last nine greens as he charged through the field to win. The Texan had an incredibly fluid, smooth putting stroke, which he learned from his instructor, the great Harvey Penick. Crenshaw had an exceptional touch even on the very fastest greens and that allowed him to excel at Augusta, where he won The Masters twice. When he took the title in 1995, he negotiated the 72 holes without recording a single three-putt. In the year 2000, Brad Faxon averaged 1.704 putts per green in regulation on the PGA Tour – that’s the best putting season in the history of the game. Faxon wasn’t a long hitter, nor was he a particularly good ball striker, but his putting was almost unbelievable. With a smooth, classic stroke, he was a brilliant reader of greens as well as being technically sound and mentally strong. Had he possessed a little more game from tee to green, Faxon could have been a world beater. 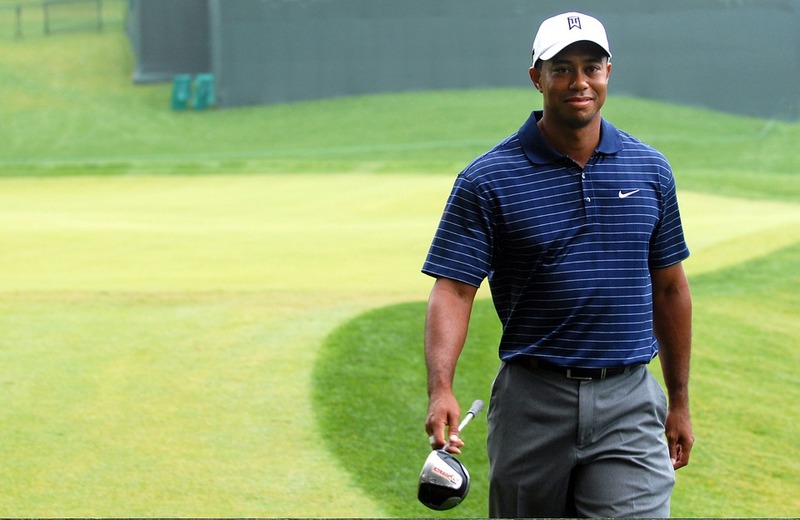 Speaking of world beaters – Tiger Woods has holed more incredible, clutch putts than any player in the history of golf. He loves the pressure and he so often lives up to it. Think of his “greatest hits” and so many improbably holed putts come to mind. How about the one on the 72nd hole of the 2008 U.S. Open to force a playoff with Rocco Mediate? Woods has a clinical stroke which is technically near-perfect, meaning not an awful lot can go wrong if he picks the right line… Through his career, he generally has!